Fake news has been making its presence felt from the battlefields of Kurukshetra to the invasion of Iraq by USA, but the present day media can counter it by internal scrutiny and attain objectivity by treading a path between too much docility and excessive aggressiveness, Mr N Ravi, publisher, The Hindu group of publications said on Saturday. He was delivering Sarat Chandra Bose Memorial lecture on “The News Media Today: Watchdog or Promoter of Fake News”. Why should rational people believe in fake news especially when a regular reader of a daily or the watcher of a news channel is well aware of the orientation of the source of information they go through everyday, the former editor-in-chief of The Hindu wondered. A wide range of organisations including governments, advertisers, business houses and extremist groups especially in Jammu and Kashmir and North-East can trigger fake news, he said seeking to trace out the factors triggering a piece of information which may be harmless satire or fabricated information. Performing its role of a watchdog is no easy task for the media, Mr Ravi said. For some of the media are supprotive of a cause while some are against it and the rest are just doing their job keeping their head down, he pointed out. Sometimes fake news is dished out by social media, he pointed out. Focusing on the watchdog role of the media, Mr Ravi felt that the print media holds an advantage over its electronic counterparts though the grilling of a leader on television “generates much noise”. The sheer space available in print media is much more crucial than half an hour in television, he felt. The media plays a role in examining the actions of the administration, be it demonetisation or Rafael deal or arrest of some eminent citizens over alleged Maoist links, Mr Ravi said. 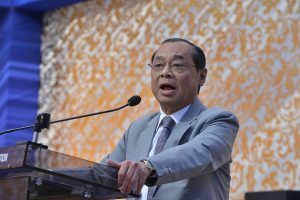 Regarding the first two news items, he felt that “the media puts out figures with no means of finding out which is right or wrong”, while the police lost the perception game in the last piece of news item. Journalism always works in a hurry to meet deadlines, but a good journalist owns up his mistakes, the veteran scribe said. 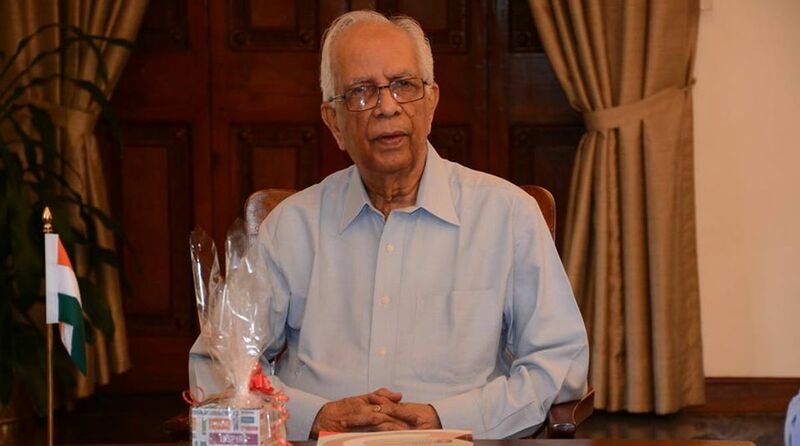 The media has to be critical and fearless, governor of Bengal Keshari Nath Tripathi said. Credibility is the biggest asset of the media which must not be eroded, he added.